Researchers discovered acid rain by measuring rainfall and runoff in brooks like this one, in the Hubbard Brook Research Forest in Thornton and Woodstock. 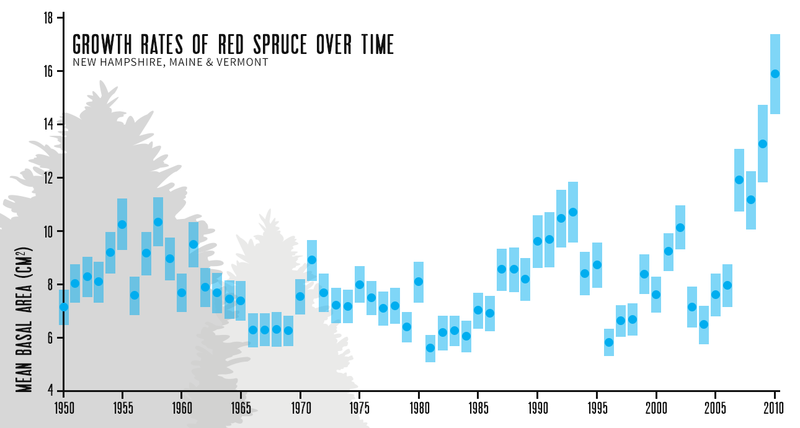 Measurements of the basal area (size of the trunk near the bottom) of red spruce have shot up in recent years, and while climate change is near the top of the list of theories for why, scientists have yet to determine how much of the growth is due to warmer temperatures and more CO2. 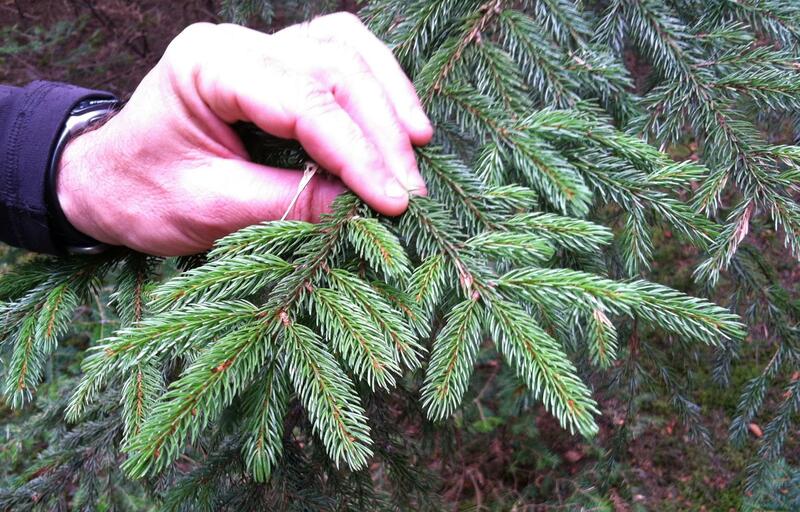 Josh Halman surveys red spruce for signs of "winter injury" or dead needles and buds caused by cold temperatures hitting needles weakened by acid rain.